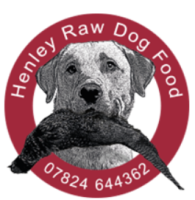 So your ready to make the switch and start feeding your dog raw but how ?...well the info below will answer your questions and make the transition from commercial dog food to feeding Raw dog food easy ! Feeding your dogs Raw is one of the best things you can do for your dogs . Typically an adult dog of correct weight for its frame will require around 2.5 % of its body weight in raw food per day . 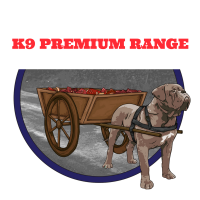 For example a 50kg dog would require around 1kg of raw food per day. Some dogs may need a bit more or less depending on activity levels , ie a active dog like a working dog will eat more than say a dog who lazes around all day . For puppies please go to 'Raw feeding pups'. Raw contains everything a dog needs and they generally do not need supplements unless they are in the later stages of life or have certain conditions. We always recommend to take a natural holistic approach where possible. Now Raw on its own is meat , bone and offal(5% liver and 5% other secreting organ ie kidney,spleen, testicle etc . typically the rule of thumb ratio is 80-10-5/5. Although this is a rough guide only , and proportions can vary . BARF , biologically appropriate raw food is like raw but it also includes adding some veggies , herbs , nuts and seeds. Basically there are 2 schools of thought , some say that in the wild dogs would of eaten the contents of the stomach of their prey whist others think they wouldn't of . Personally i float between the 2 and do like to feed barf at times and have found 'smartbarf' an excellent way of doing it . It contains a lot of seeds , herbs etc ..if you check on the site you can read up a bit more about it . To start your dog on raw you can do a straight switch from whatever your currently feeding. You will need to start on green tripe foraround a week then on the second week introduce chicken at a ratio of 50/50 (tripe/chicken) for adult dogs and for pups 75% tripe to 25% chicken . Don't feed any other proteins or anything else like treats , biscuits etc during this stage as the flora bacteria in your dog’s digestive tract will be developing to handle raw meat and bone and if something does cause them an upset tummy you want to be able to single out what it is. If they do get an upset tummy keep some tinned pumpkin in the cupboard at the ready.which is great for settling diaorreah and if that doesn't work you will need something called prokolin which will work. However you probably won't need these as tripe is a good natural probiotic . A dog is highly more likely to get the runs on kibble or tinned foods. You will notice your dogs stools on the tripe will be wetter and black in appearance this is normal. If a little to wet after a few days then introduce the chicken in to his diet and the bone content will firm the stools up. If stools are white and chalky that’s too much bone, so add more meat (tripe is classed as meat) , if too wet it indicates to much meat and/or offfal so add more bone. You need to slowly build up the amount of offal and bone in his meals as initially dogs can not tolerate much bone or offal, as too much bone can cause constipation and too much offal can cause the runs. After 2 weeks of being on chicken and tripe if he is settled and doing well you can then one week at a time introduce new proteins. Variety is the key to a balanced species appropriate raw diet and ideally in the long run you need to aim for around 5 different proteins (ie lamb, beef, chicken etc). Obviously for some dogs this is easy as they'll eat anything but others may have intolerances, allergies or not just like the taste of certain meats. So that’s why it’s advised to try one protein at a time so you can easily rule out anything they don't get on with. After a few week you may want to feed bone pieces, which is fine but always supervise when doing so . Ideally feed pieces that are bigger than the dog’s mouth so they have to gnaw and not try to just gulp the whole thing down in one go. If feeding smaller pieces like wings or necks hold the end and encourage him to gnaw. Worth also mentioning its not ever advisable to feed kibble along side a raw diet as this will alter the ph of the gut , raising it which means he will not be able to properly break down bone in the gut putting him at higher risk of blockages . Also the higher ph doesn't handle bacteria very well, which can cause bacteria build up resulting in diarrhea and sickness etc. So raw equals a ph of 1 to 2, and kibble 3 to4 . In the long term your dog’s overall diets should consist roughly of 80% meat, 10%bone and 10% offal (5%liver,5% other offal).Though within the first weeks of feeding raw you do not have to worry about that ratio. And in the long term you need to feed nose to tail all the different parts of an animal, ie, liver heart, feet etc. Once settled on chicken and tripe its easiest to feed completes which have the 80-10-5-5 ratio in them and then if you wish you can feed 'diy' which means working out the ratios yourself over the course of a week . For the first 2 weeks up to a few months your dogs will detox and their bodies will flush out any toxins that would have accumulated from eating commercial wet and dry foods , they will most likely shed and you will visibly notice a healthier shinier looking coat and your dogs will seem full of new vitality . You will also notice your dogs will drink less water as they get some fluid naturally from the raw meat . One of the great advantages of feeding raw from an owners perspective is that the dogs stools are smaller , firmer and don't really smell . The stools will look different in appearance and this is normal . And of course all in all you have a healthier happier dog . How to get started quick ! Start your dog on our beef green tripe mince for the first week and then on the second week introduce them to our premium chicken mince and feed a 50/50 ratio of tripe and chicken for adult dogs and 75/25(tripe/chicken) for pups. Slowly 1 week at time you can introduce them to other meat proteins such as lamb, beef, duck etc and then try them on things like wings and carcasses. When feeding bone always supervise your dogs and make sure they chew and not gulp .